It was a pretty massive weekend at the box office, for one reason only — Clint Eastwood’s American Sniper. By now it’s likely you already know the box office success of this film, as it’s literally been the talk of the town all weekend. And there’s a reason why that’s the case: because it’s a really confusing, really confounding case of a film doing really, really well, and not a lot of reasons existing as to why. Now let me explain myself: the success of the film itself isn’t that much of a surprise. Going into the weekend everyone knew it was going to win, and everyone expected it to make a ton of money. But what makes this win so interesting isn’t so much the film winning the weekend, but how much it won by: a massive, massive, MASSIVE amount. American Sniper made about $90.5 million over the weekend, and is on track to make $105 million when factoring in today’s holiday gross. That whole thing is literal insanity to me, and I couldn’t (and still barely can) fathom the massive success of this film. Once again, I get why it succeeded — it was an easy story to sell, had Oscar backing behind it, star power in front of it, and a massively successful book fueling it. BUT OVER A HUNDRED MILLION DOLLARS in four days? That was a feat that only TWO films could achieve last year: Transformers: Age of Extinction and The Hunger Games: Mockingjay Part 1. What American Sniper made over this weekend is more than blockbusters like Dawn of the Planet of the Apes, X-Men: Days of Future Past, The Hobbit: The Battle of Five Armies, The Lego Movie, and The Amazing Spider-Man 2 made on their opening weekends last year, and this is an R-RATED IRAQ WAR DRAMA we are talking about here. So once again, the question has to be asked: why did this film in particular make so much money in its opening weekend? And the truth of the matter is, I don’t think I can explain it. Hell, I don’t think any of the box office pundits can explain it either. Yes there’s a lot of factors that you can certainly articulate as to why it connected with major audiences and became a success, but as to how it became a blockbuster on the level of The Avengers or Transformers? I don’t think anyone can really explain that. Either way, Warner Bros. did something right, apparently, so kudos on them I guess. Oops, there were other movies in theaters this weekend, weren’t there? I’m just going to run through them quickly — Kevin Hart’s The Wedding Ringer landed in a far second place with $20.4 million, which ranks as one of his lower debuts (even if it’s still a successful one.) Paddington got $18.6 million in third place, which is solid for the already huge international blockbuster. Taken 3 dropped a massive (if expected) 62% to a total of $14.6 million in fourth place, and Selma rounded out the Top 5 with $8.7 million. That’s only a 22% drop, which hopefully means this film will have strong legs in the weeks to come. 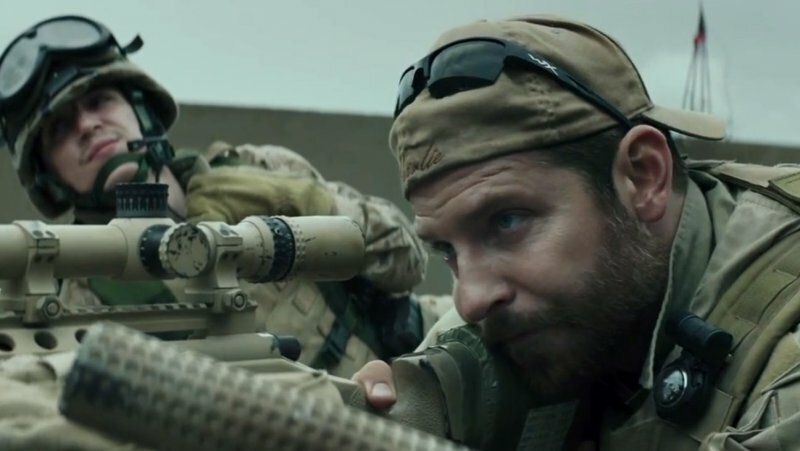 That’s it — check back next week to see if American Sniper holds up well. Hint: it definitely will.